If you're an ​Arsenal fan who has never heard of Ismael Bennacer, chances are you're not alone. The Algerian midfielder made just one appearance for the club in a League Cup fixture in 2015, before being shipped off to Empoli for what feels like pocket change in 2017. ​In January, ​AC Milan's pursuit of Dalian Yifang winger Yannick Carrasco dominated headlines in Italy. They simply couldn't pry him away from the Chinese Super League side, but they're ready to try again. ​Calciomercato claim that Milan chiefs met to discuss summer transfer targets, and Carrasco's name cropped up again and again. They still want the former ​Atletico Madrid man, but perhaps only if they cannot land other targets. ​Everton's ​Richarlison and ​Watford's Gerard Deulofeu are said to top their wish list, but Carrasco is their backup option. The ​Premier League sides will likely put up a fight to keep their stars, meaning the Rossoneri could be forced towards Carrasco. News of Los Blancos' interest comes from The Sun (via ​Marca), who state that they want the former ​Barcelona starlet to replace ​Marcelo, who could be on his way to ​Juventus. It looked as though they had moved on from the Roma man, with the likes of Kalidou Koulibaly and ​Toby Alderweireld on their shopping list, but Leggo claim Manolas' £31m release clause is just too good for the Red Devils to turn down. Manolas has been one of the Serie A's top defenders in recent years, so £31m looks like an absolute steal in today's market. After all, that's less than ​Chelsea paid for ​Danny Drinkwater, and just look how well that has worked out. Given ​Manchester City have what feels like 40,000 star forwards, you can understand how one of those players could grow frustrated with a lack of first-team action. 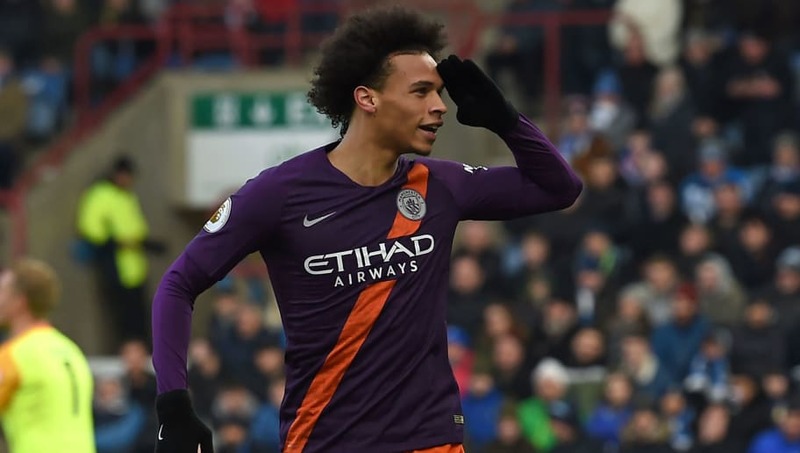 Unfortunately for the Citizens, it looks like that's exactly what has happened to Leroy Sane. According to ​TEAMtalk, the German is less than impressed by his rapidly decreasing standing in Pep Guardiola's squad. He has started just seven of the last 18 games, featuring in cup ties against the likes of Newport County and ​Swansea City, and it seems he has had enough.